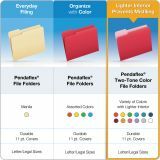 Interior grid offers a convenient place for notes and key dates. 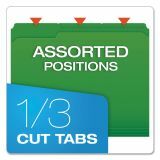 Double-ply reinforced top tabs and folder top provide extra strength at point of most wear. 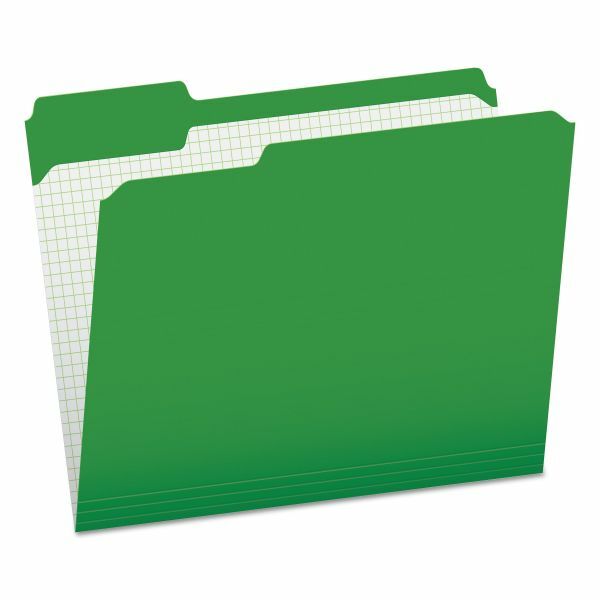 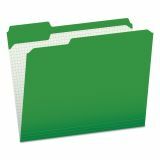 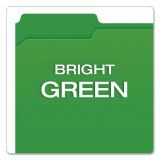 Pendaflex Reinforced Top Tab File Folders, 1/3 Cut, Letter, Bright Green, 100/Box - Top-tab file folders are perfect for color-coding. 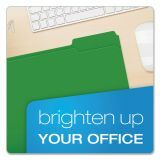 11 point file folders feature bright colors and double-thick reinforced tab and folder top for extra durability for frequent use. 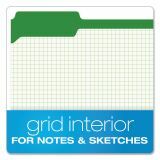 Interior grid design facilitates convenient note-taking. 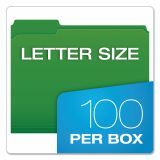 Letter-size folders come with tabs in assorted 1/3-cut positions for easy access.